Masterclass Margaret Wheatley - How did we get here? Margaret explains the dynamics of living systems to explore how we ended up in this world, one that benefits so few and destroys future possibilities. She shares the role that living systems thinking plays in helping us to understand this world and how we might counteract its destructive political, social, cultural, and personal dynamics. She will elaborate on the history of Newtonian organizational and culture change strategies, most of which have failed badly. From a living systems perspective, we must understand that change happens through emergence, not through partitioned and incremental changes. If we are to counteract the dynamics of politics, polarization and conflict, and the general climate of fear and anxiety in which thinking has disappeared, we must work with life and its powerful change dynamics. These dynamics are opposite our usual methods of imposition, control, and compartmentalization. Following this through, she reflects upon what this means for leadership, organizations and for when, how, if change is possible. Margaret invites you to reflect with her, to explore her insights and connect them with your own work and life experiences. Margaret Wheatley is our guest during the first two days of the system festival. Margaret is a global leadership consultant, teacher, and advisor who has worked since 1973 on all continents (except Antarctica) with a rich diversity of organization types. In 1992, she published Leadership and the New Science exploring how the insights from quantum physics, chaos theory and living systems offer many more possibilities and solutions for leaders, in contrast to the mechanical worldview still dominant today. This book is credited with establishing a new organizational paradigm; it has been translated into 20 languages, and named one of the top ten leadership books of all time by Xerox Corporation. Since 1992, she has published nine books, each of them an invitation to see the world with new eyes and engage thoughtfully to create change. The books reflect her own learning curve as she draws her ideas and practices from many disciplines: quantum physics, living systems, history, sociology and many spiritual traditions. She knows that in order to discover solutions to our increasingly complex problems, we must integrate people, perspectives and experiences from as many diverse sources as possible. This is true systems thinking! Her most recent work is to train experienced leaders as Warriors for the Human Spirit, leaders who are dedicated to protecting and serving people in this troubled time. She speaks globally and has been advisor to many high-level leaders, from the head of the U.S. Army to the head of U.S. Catholic nuns. Margaret relies on her deep spiritual grounding as a practicing Buddhist. During the system festival we organize three meetings with Margaret Wheatley. 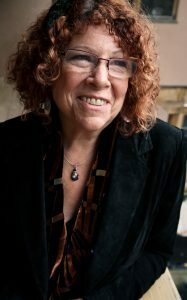 For more information about Margaret: https://margaretwheatley.com. Voor wie: iedereen die wil begrijpen hoe het denken in termen van levende systemen ons kan helpen om de wereld waarin we leven te doorgronden, en hoe we iets kunnen doen aan de destructieve dynamiek waarmee we tegenwoordig te maken hebben.